Vietnam Social Insurance Agency has started collection of compulsory social insurance to foreign workers in Vietnam but some businesses have puzzled over the premium payment in HCMC, where about 10,000 foreign employees are licensed a year. 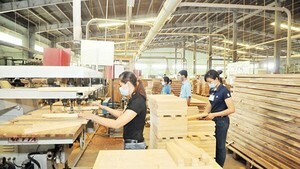 Nippon Express Joint Venture Company in Tan Binh district, HCMC is using many foreign workers. Of them, department managers are Japanese who have been sent by the parent company to work in Vietnam in 3-5 years terms under job rotation. These managers have been provided social insurance, health insurance and unemployment insurance in Japan according to the country’s regulations. So the company has puzzled over paying social insurance for these workers in Vietnam. If the company does not have to pay, what kinds of papers it must present and whether these papers are translated and notarized or not? In addition, the company has recruited some other Japanese workers in Vietnam and they have work permits as per regulations so how about social insurance payment for them? If the compulsory social insurance policy takes effect to old foreign workers (62 years old)? Meantime Line Vietnam Company in District 1 said that the company is joint venture with foreign partner. The director of the company is a foreigner assigned by the foreign partner to work in Vietnam in 3-4 years. He used to work for the foreign partner over a year. So the director has been exempt from work permit when working in Vietnam. Currently he only receives salary from the company in Vietnam. It is unclear that whether he is subject to compulsory social insurance. SCS Global Consulting Vietnam in District 1 is confused about social insurance payment for three groups of foreign workers. Firstly, foreign workers are rotated within the company with work permit exemption, signing labor contract with the company in Vietnam who pay them salary. Secondly, foreign workers are rotated within the company with work permit exemption but they do not sign labor contract with the company in Vietnam and their wage is paid by the parent company abroad. Thirdly, foreign workers are rotated within the company with work permit exemption, sign labor contract with the company in Vietnam but their wage is paid by the Japanese firm. Social insurance is paid in Japan first. Afterwards the parent company will take these payments from the company in Vietnam. 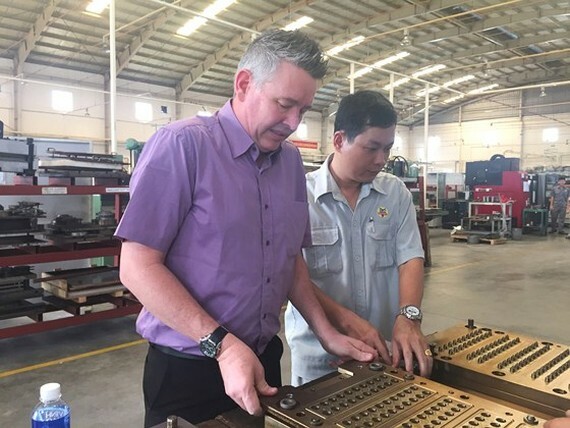 Businesses said that it is needed to make clear the above cases to prevent foreign workers from paying social insurance twice, adding that most foreigners have mainly worked in Vietnam in short terms. Hence they do not pay attention to pension, the most important in Vietnam’s social insurance policy. Moreover, health insurance attendance has been inconvenient for foreign workers in Vietnam as most medical workers cannot speak English fluently. Businesses must assign interpreters to accompany their foreign employees. Deputy director of HCMC Social Insurance Agency Nguyen Thi Thu said that foreign workers moving within their company are not subject to compulsory social insurance. Businesses need to supply documents, confirmed by authorized agencies, to get social insurance exemption confirmation. To those working in Vietnam not under internal rotation, businesses must pay an amount of 3 percent of an employee’s monthly salary to sickness and maternity funds and 0.5 percent into occupational accidents and hazards fund. Aside from that businesses must pay 14 percent while workers must pay 8 percent of their monthly salary to pension and death gratuity fund from January 2022, Ms. Thu added. Old foreign workers are not subject to compulsory social insurance. About three groups of foreign workers which SCS Global Consulting Vietnam asked, Ms. Thu said that if foreigners work in Vietnam and authorized agencies confirmed their job rotation as per the Government’s Decree 11, they are not subject to compulsory social insurance. She admitted that hospitals and health clinics in HCMC do not have interpreters and that is inconvenient for both patients and businesses using foreign workers when they need to go to hospital.